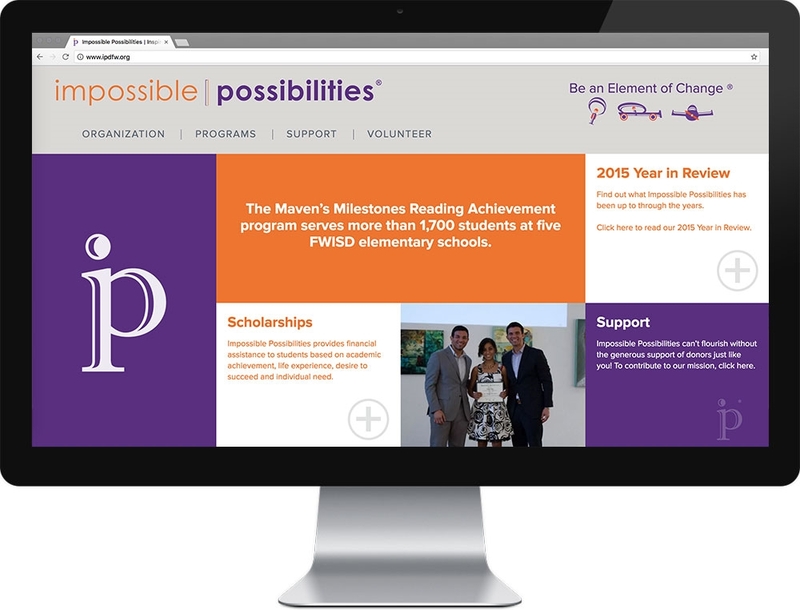 Looking to update their online presence, Impossible Possibilities (IP) contacted us to lead a redesign and development of their website. The site features an extensive set of custom administrative features allowing IP administrators access to manage all site content and view user entered information for scholarship applications, event registration, volunteer applicants, and more. This project is a 2015 W3 Web Creativity Award winner.